DeckONE features original illustration by Homer Liwag and are "printed in Q1 quality on the web casino press at the USPCC". The box is made of paper 25% thicker than the Sentinel tuck case. 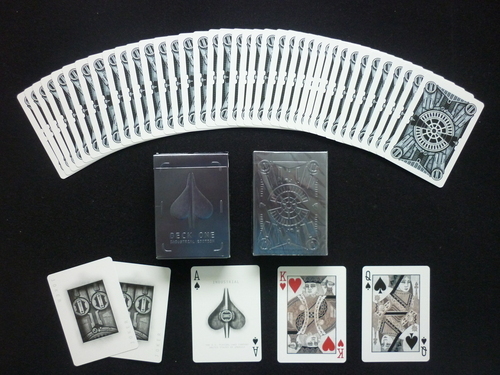 Comes with two custom jokers, a custom Ace of Spades, special colored court cards and a double backed gaff card.